Green Scene Turf Management & Landscaping – Page 4 – Landscaping in Clayton, call today & don’t worry about your lawn anymore! Locally owned and operated since 2000, we service both Wake and Johnston County. Offering a wide range of lawn and landscaping services. Our lawn care experts are dedicated to keeping your lawn beautiful and well maintained. We have the right people, with the right equipment and skills to give your property the look you want. Call today & don’t worry about your lawn anymore! Our emphasis is on “Planning to Succeed Helps to Create Success”, but we also appreciate the colorful twist and turns that go along with creating a beautiful environment that is something new and different . Nothing highlights a well-kept exterior more than a rich-looking, carpet-like lawn. 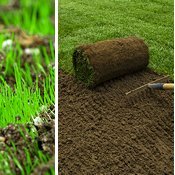 Whether you desire the instant results provided by sod, or you’re interested in lawn seeding, we are here to help. We have degrees in Horticultural from North Carolina State University. This means that we know the right time to prune and trim, because if you don’t know everything about a plant, you can do more harm then good. Believe it or not there is a Science behind choosing the correct ground cover. Some plants thrive better with straw, while others need mulch. 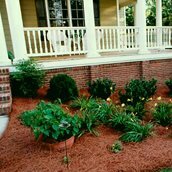 We can help with both the health of the plants and the beauty of your landscape. 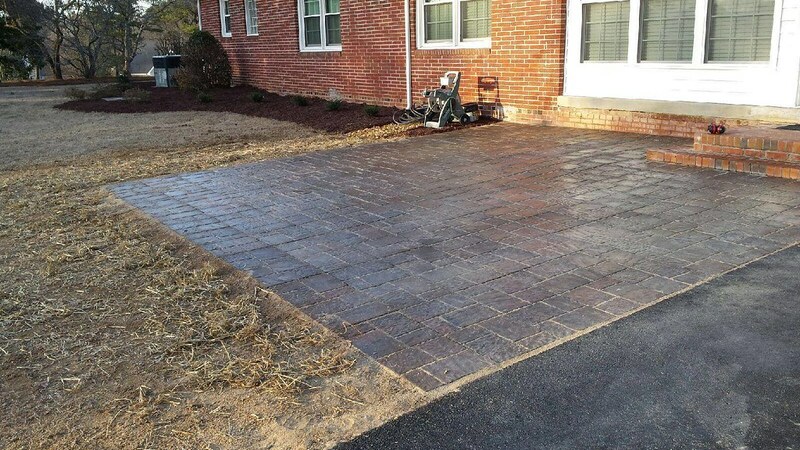 In our 20+ years we have designed & installed many different types of hardscapes. We understand that it must be a marriage that brings together both your environment and your budget. A lawn is more than just a collection of grass. It’s the first impression others get of your home, and a stunning lawn can increase your property value by up to 15%. We have many lawn maintenance programs available. Complete this quick form to request a consultation. Maybe it’s because you want to create something beautiful. Maybe it’s because you want to hang out in an attractive, functional outdoor space. Maybe it’s because you can’t bear your neighbors’ contemptuous stares. Maybe it’s because you want to push your property value to the maximum. Whatever your reason for needing professional landscaping help, we are the ones to call. Give us a call or email us, we are always eager to work with you. When it comes to choosing the right landscaping company your property will reflect in you making the correct choices. But what are the main guidelines that consumers should use when defining the right landscaping company? Three factors should be taken into consideration when choosing the best landscaping company: services, quality of work and reliability. Some landscaping contractors own a power lawn mower, a leaf blower and work out of their trucks yet call themselves a landscaping company. While they can provide basic lawn mowing services, they are limited in providing a full range of quality landscaping services year round. To demonstrate the difference, Green Scene Turf Management & Landscaping, is a full-service, year-round landscaping company. That means we provide a wide range of lawn and landscape maintenance services, including lawn cleanup in the winter & spring, lawn mowing and lawn care in the summer, and leaf removal in the fall. 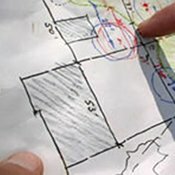 Our full complement of services include all aspects of lawn care; all forms of landscaping; fertilizer and weed control; tree removal and trimming of trees, shrubs and hedges; landscape design; lawn care to prevent or treat turf disease; irrigation system installation; and so much more. You never know what type of service your lawn and landscape might need, so it’s always best to go with a full-service landscaping company. Landscaping isn’t just mowing the lawn or planting some plants or bushes. It’s an art form that only quality landscapers can provide. 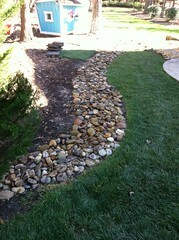 At Green Scene Turf Management & Landscaping, our many years of experience show in our quality of work. 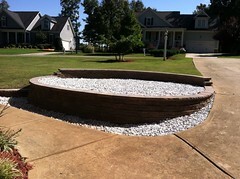 The manner in which your landscaping is cultivated makes a huge difference in its appearance and beauty. It takes experience to reach that level of quality work and we have been in the landscaping business since 2000. 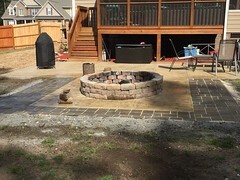 While there are many landscaping companies in the Greater Wake/Johnston County area that offer some of the best deals, what really counts is the quality of the work. After all, how great is a deal if your lawn doesn’t look its best afterwards and you have to hire another landscaping company to fix it? You end up paying twice when all you need to do is pay a higher quality landscaper once. We certainly have fixed a bunch of bad landscaping in our day. No matter what type of property we’re working on, whether it’s a home or business, we set very high standards of satisfaction. Our quality commitment is reflected in the many happy customers we have. We’re proud to have the reputation as one of the best landscapers in Wake/Johnston County for both residential and commercial properties. 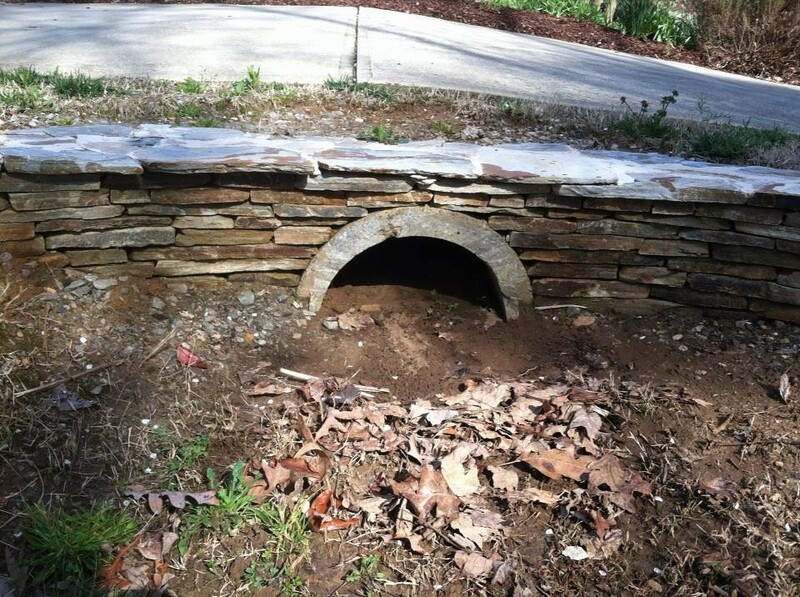 Reliability is an essential attribute in choosing the best landscaping company. Landscape professionals who are reliable establish a landscaping schedule with you and they arrive on time as scheduled. If for some reason they are not able to arrive as scheduled, they call you to reschedule. 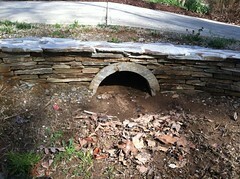 Equally important is the reliability of the landscaping companies equipment. The best companies have and maintain top quality equipment because if it breaks down, your service likely will be affected. 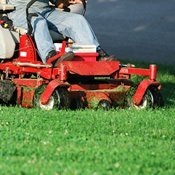 As a leading landscaping company in Wake/Johnston County, Green Scene Turf Management & Landscaping, has a full complement of lawn care and landscaping equipment that is checked after each workday and maintained regularly. We also have access to backup equipment to ensure any equipment problems don’t inconvenience our customers. You can also expect our landscapers to not just be the best but to always be professional, courteous and neat. We train our landscapers to clean up after themselves, so you’ll never find a stray grass clipping anywhere! At Green Scene Turf Management & Landscaping, our goal is to exceed your expectations with a full range of quality and reliable landscape services. 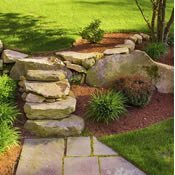 We welcome the opportunity to handle your landscaping needs. 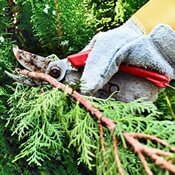 Setting a budget will drive many of your plans: A few thousand dollars could pay for redoing an existing garden with new plantings but may not cover a complete renovation or hardscaping work. POWERED BY Lucas Design Studios. Copyright © 2018 Green Scene Turf Management & Landscaping | All Rights Reserved.